Our Pristine™ line of high-purity reagents will get you the best test results. Our reagents are processed to ensure the highest possible purity. Getting the best results from your test with the best quality LC-MS and HPLC reagents. Enjoy the highest quality product at a bargain price. We keep our cost minimal to help you stay within your budget. 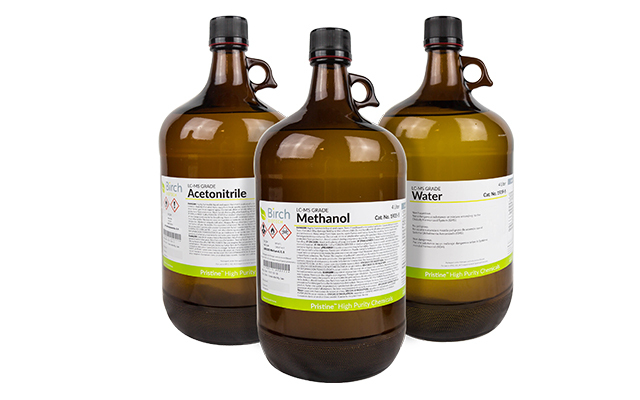 Each bottle of Birch Biotech’s reagent is printed with the lot’s Actual Lot Analysis. So you can rest assured you are getting the best there is. 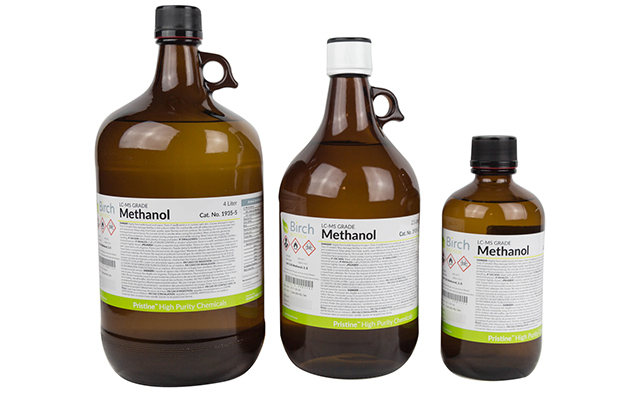 Our Pristine™ line of high purity Acetonitrile, Methanol, and Water reagents will ensure you get the best results for with any application. Reach out to us to find your nearest distributor.